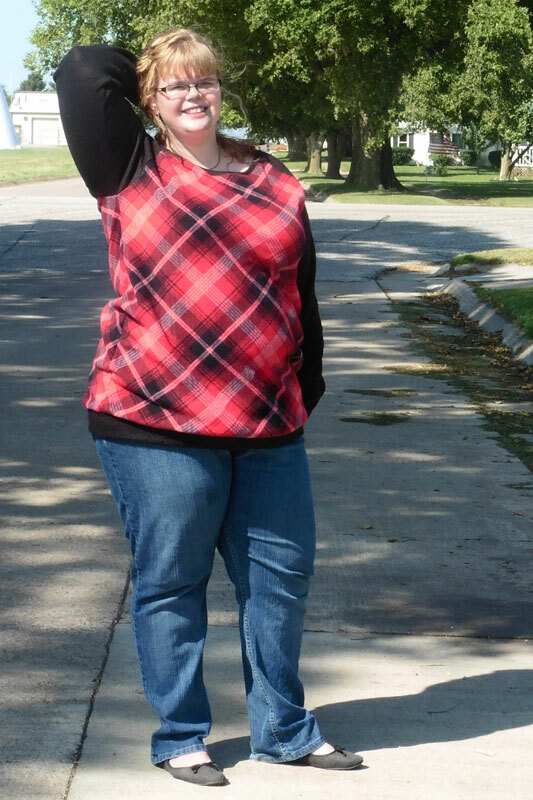 Raglan Sweatshirt Hack for Football Season – Everything Your Mama Made & More! Football season is upon us and, having grown up in Nebraska, most of my family are die-hard Husker fans! Go big red! 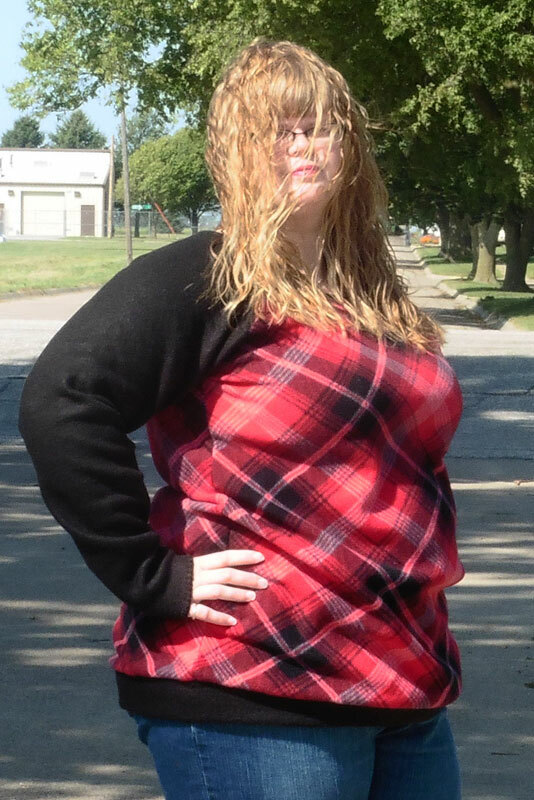 Conveniently, my hometown high school’s colors are also red, white, and black … so when I came across this bias plaid I thought it would make a perfect raglan sweatshirt for football season. 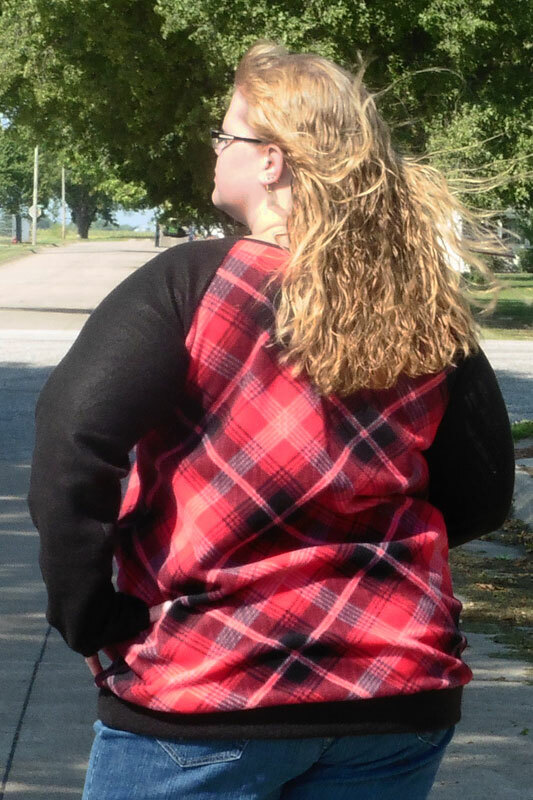 I made this plaid sweatshirt for my mom, who is a few inches taller than me, so I added a couple inches to both the sleeves and to where I usually cut the body length. I hope she loves it when I gift it to her this weekend … and hopefully the weather cools off soon so she can wear it because today the temps are supposed to reach 90*F! My photo options were limited today since it was just a “bit” windy as I was attempting to take pictures this morning. Many of my shots came out like the one above, reminding me of Cousin Itt from the Addams Family. Gah! Welcome to Nebraska, where the wind is blowing 97% of the time! Haha!